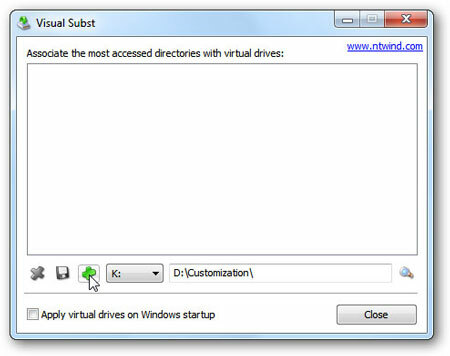 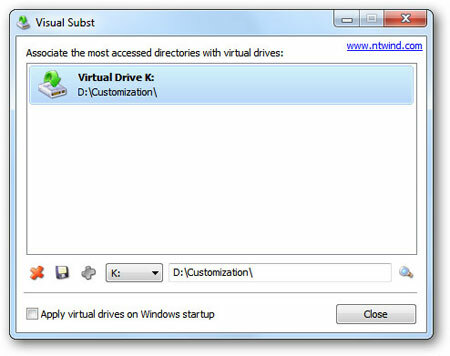 Visual Subst is a free tiny portable tool for Windows that allows you to create virtual drives of folders with ease. 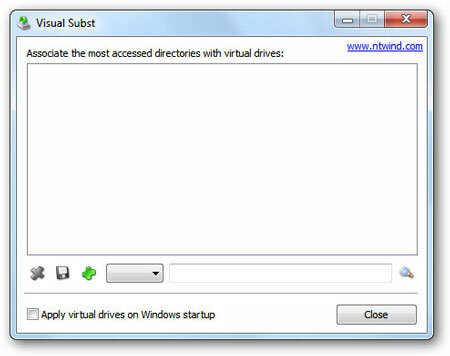 It is the GUI version of the subst command in Windows. 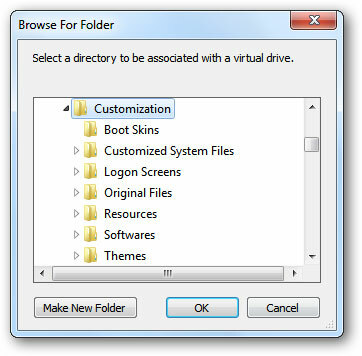 Select the folder that you want to make a virtual drive and click OK.
To delete any virtual drive, just select it & click on the Cross icon.